La Boutique Salon is the creation of award winning hair colourist Belinda Jeffrey. 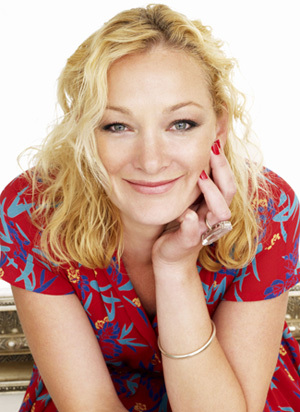 With over twenty five years experience, Belinda is renowned for her work in Film, TV, Fashion and Advertising. Belinda's attention to detail has earned her a reputation as one of Australia's most highly sough after hair colorists. An expert in her field, Belinda has worked on a number of Blockbuster Films, including The Truth, Gods of Egypt, The Waiting, Nim's Island, Australia, Master and Commander, Scooby Doo, Holy Smoke, Head Over Heels and Moulin Rouge. Belinda's expertise and 'down-to-earth' nature makes her the 'go-to' colorist for A-list celebrities such as Robert Redford, Gerard Butler, Leonardo Di Caprio, Russell Crowe, Carey Mulligan, Joel Edgerton, Ewan McGregor, Baz Luhrmann, Catherine Martin, Kate Hudson, David Wenham, Rose Byrne, Nicolas Cage, Rebecca Gibney, Kate Bosworth, Sarah Wynter, Sarah-Michelle Gellar, Freddy Prince Jr. and Kylie Minogue. Despite looking after many of her 'high profile' friends such as Sarah Murdoch, Megan Gale, Miranda Kerr, Abbey-Lee Kershaw, Emma Booth, Erica Packer, Edwina McCann, Sally Obermeder, Rachel Taylor, Anthony LaPaglia, Teresa Livingstone, Alice Bureau and Mark McGrath, Belinda still finds time to look after her extremely loyal clientele. It's no wonder that Belinda is referred to by people in the industry as 'The Blonde Whisperer'.